A very early start, and a chance to slip into Lincoln Cathedral before the ticket offices were open. I don’t know about you, but I have an instinctive (and inexplicable) aversion to paying exorbitant fees to see a little bit of our own architectural history, especially when it is a place of worship and would ordinarily be open to the public anyway. They need to take a lesson from Selby Abbey. Like Ely Cathedral, it’s a bit like the ‘ship of the fens’…..situated on a high hill in the city, it dominates everything and can be seen for 20-30 miles across the countryside. In fact, until 1549 (when it collapsed) its 160 metre spire made it the tallest building in the world. 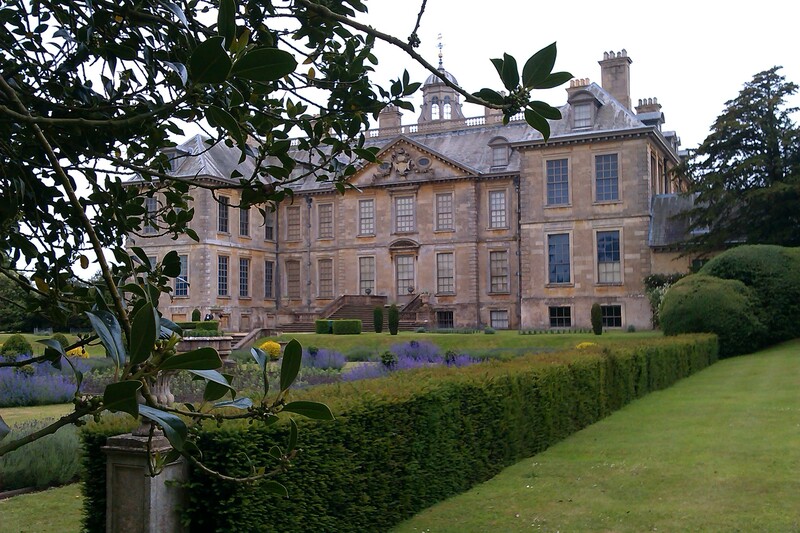 Being a National Trust member, I targeted Belton House, near Grantham, to stop for lunch and pay a visit to the house. Though the house was officially closed for the day, guided tours were given of the ‘downstairs life’. Whatever you see on Downton Abbey, take it with a pinch of salt. The below stairs way of life for the servants was much more rigid and severe. At the end of the tour, we were ushered into the silver vault, and shown the silver service set that Margaret Thatcher (once a near neighbour of the Brownlow Family) had commandeered for use in Downing Street. Apparently, they had much difficulty retrieving it once she had left office! And its other famous facet was the huge encampment erected during WW1 in the ample grounds for the training of over 170,000 machine gunners in the Machine Gun Corps. The homeward trek from an event can sometimes lack that element of expectation so endemic in the outward journey. A bit like going back home after a relaxing holiday…..you go back to comfortable familiarity, losing that adventurous edge of the previous few days/weeks. Not so for me on this homeward venture…….I was looking forward to checking out Selby Abbey on the way down, learning a little about the birthplace of the Wesley brothers (Epworth) and, of course, ending up in Lincoln for the night where I would be welcomed by another Warmshowers host….in this case a family of three. 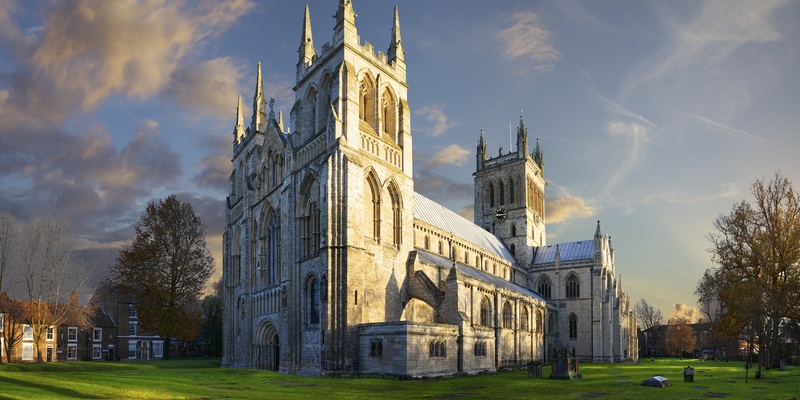 Poor Selby, always in the shadow of its immensely more famous neighbour, York, its Abbey is frequently overlooked in favour of the Minster just 15 miles to the north. But don’t be distracted. The entry is free, the information boards and guides are excellent, and you don’t have the crowds. Put it on your itinerary. Now you may not be enthralled by the history of Methodism, but when you pass through a small town in north Lincolnshire that gave birth to two history-changing brothers, you have to take a break and meander the streets. 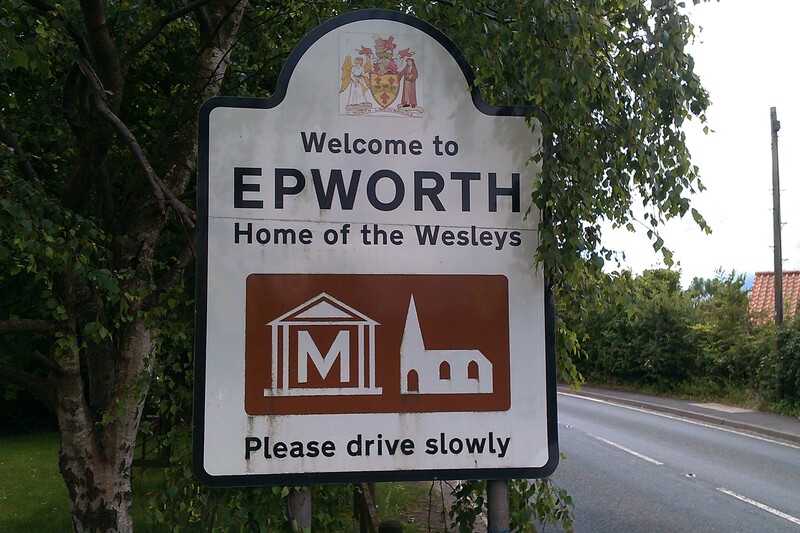 Epworth is situated on the Isle of Axholme, a piece of raised terrain above the level of dykes and ditches that have drained the lands for many years. As I approached Lincoln, the heavens opened with a vengeance, and I was very happy to eventually find the home of Ben, Ruth and little Odin, who had kindly offered to give me a bed for the night. And there was a surprise in store. Instead of spending the evening predictably chatting about all things cycling (the default setting for most committed roadies), Ruth was taken aback to discover that I was keenly interested in her doctoral research thesis, into aspects of the Spanish Civil War, because we had very similar academic backgrounds, in the field of Hispanic studies. So, instead of having to sit there like a lemon enduring all this boring cycling stuff, she could lead the conversation back to 1930’s Spain, and know that someone at the table was engaged! 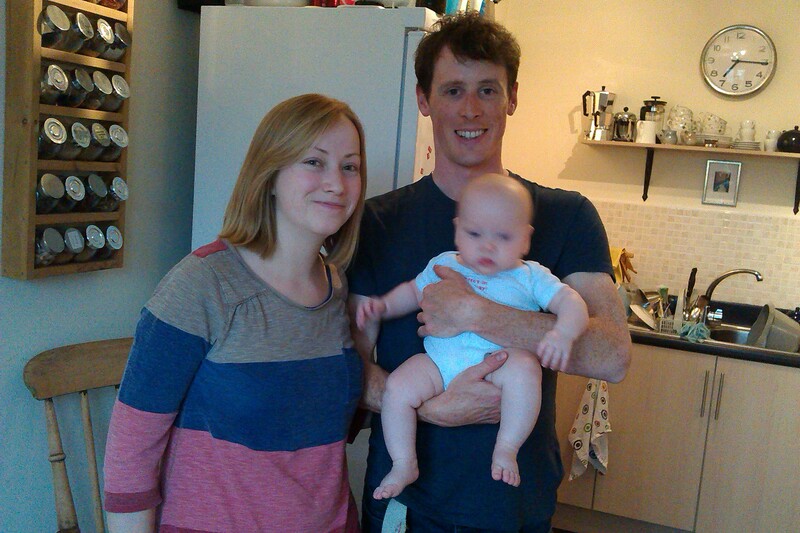 But the star of the household was definitely little Odin. He allowed this tired cyclist to sleep his fill in the guest bedroom, and I never heard a murmur from him all night. Ben and Ruth, if you are reading this, thank you all for making me so welcome, and I look forward to the first photo of the three of you astride the tandem! 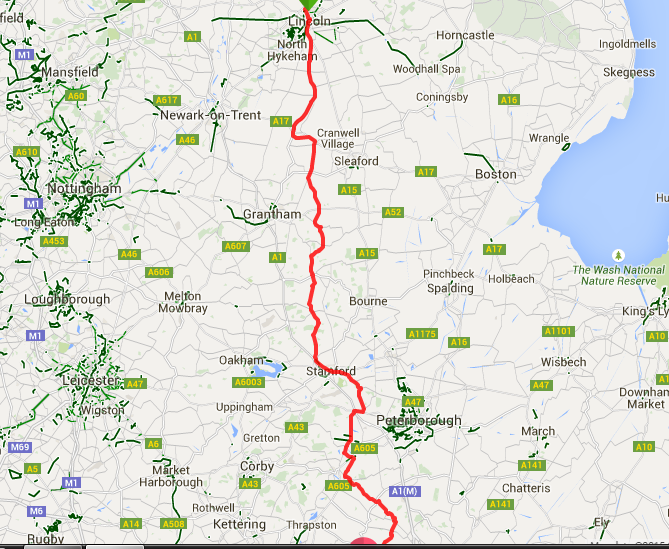 You might be amazed to discover what penny-pinching cyclists will do to get a free lunch……. I rang my eldest brother (not the one of the boat in York) who lives in Hull, and I virtually invited myself to Sunday lunch……well, of course, my real motive was to do the family thing and…..well, er….visit my brother. He lives with a religious community there, so it wasn’t just a straightforward “Can I come to lunch?”……other members of the community had to be consulted. And so it was set up…..and I was asked to be there by 12.30pm. 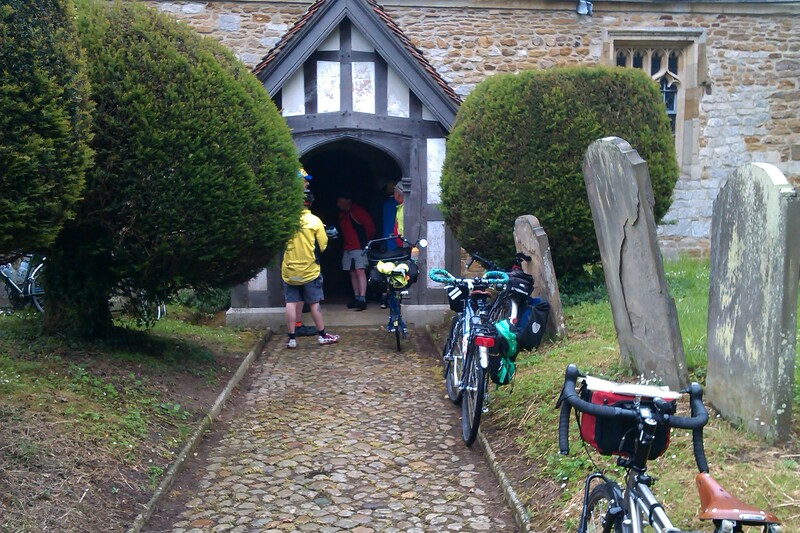 When I eventually arrived at the house, at 12.20pm, I was met by a member of the community who declared they were having a wager on whether I would get there on time. I smiled wistfully, and I really wanted to say “Oh you men of very little faith….” but I didn’t, because I wanted to make sure I was fed. 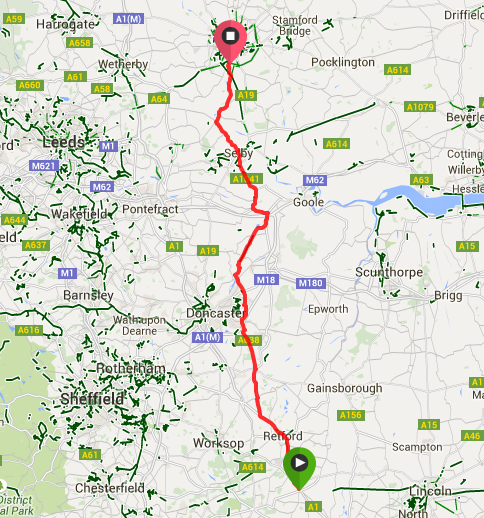 I had just ridden some 45 miles and well……… you know the story. I needed calories to dig me out of a hunger pit, and get me back to York. 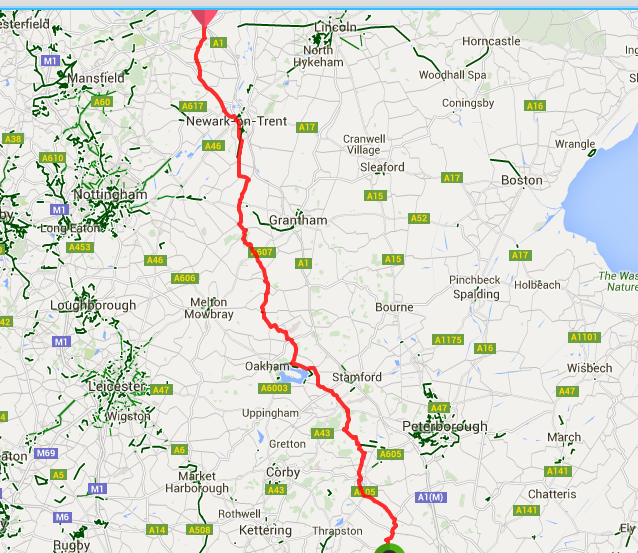 The great downside of this journey was the direction of the wind. A strong wind was coming from the west, and I had no option but to go east on the outward…….out of choice, I would have chosen a head wind on the outward, and basked in the relative comfort of a tailwind going back. But not this time. The calories from the meal were not going to be enough. I needed some extra fast-acting carbs. As I passed through Beverley, I stopped by a service station and did (for me) the unthinkable….I purchased one of those overrated, but ‘highly technical’, sports drinks (which are nothing but a mixture of glucose and caffeine)…..you know the one I mean, the one that shares the same name as an F1 team….. to put some va va vroom back into the legs. 40 miles later, as I pulled into the Racecourse in York, I had to admit that, if I had been doped tested on the spot, they would have found certain ‘substances’ in my bloodstream……..but, in this case, only what might be called a ‘legal high’ in the world of sport. After two full days crunching tarmac on my own, it was good to make adjustments to riding with a social group, and to being led by a local Yorkshire man who had done the route planning. 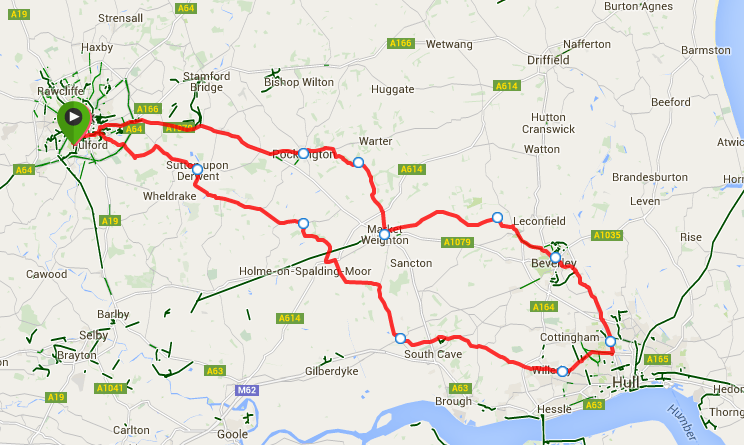 This was a leisurely circular route that would take us up into the Howardian Hills, to Castle Howard, then on to Malton, returning to York through a variety of small pretty villages, negotiating some demanding 15% hills in the process. I never realised that this area had so many connections with the Battle of Waterloo….and it so happened we were visiting during the bicentenary weekend of that fateful historic event. Frederick Howard (of Castle Howard) was killed in action while leading the last charge of the Battle of Waterloo (June 18th 1815), and in a village graveyard a few miles away, there lies another soldier, victim of the very same battle. 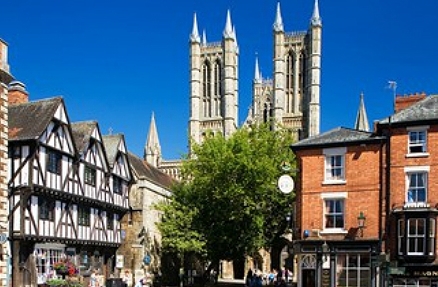 The ancient market town of Malton is, among other things, very proud of its close connections with Charles Dickens, who was not only a frequent visitor, but is believed to have written A Christmas Carol there. So proud are they of their connections that they have formed the Charles Dickens (Malton) Society to raise the profile of the links. Click here. 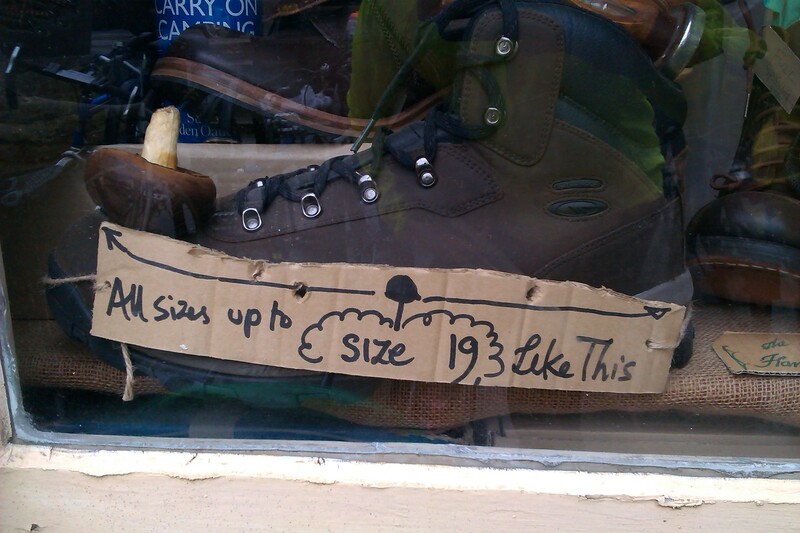 But I loved the sense of humour of one of the town’s retailers……..
There’s nowt so queer as Yorkshire folk! When I arrive at the The Knavesmire (York’s Racecourse), I look out at the vast emptiness that is slowly filling up with tents and caravans…….this is nothing like my usual pitch, which is usually in the shelter of some hedge or copse, or skulking out of sight of prying eyes. This is a huge unprotected landscape designed primarily for horse racing. When the winds blow and the rains set in, this is not the kind of environment I would choose for my little tent….. And when the wind did blow one night, one of the tent poles buckled under the strain and the tent suffered a partial collapse. So glad I had brought a few strips of gaffer tape……. a bodged job is better than no job, and it held for a few more nights. Once settled in, I answered the invitation of my brother and his wife to join them at their sailing club, conveniently only one mile from the race course. And that proved to be a curious switch of social groups……. 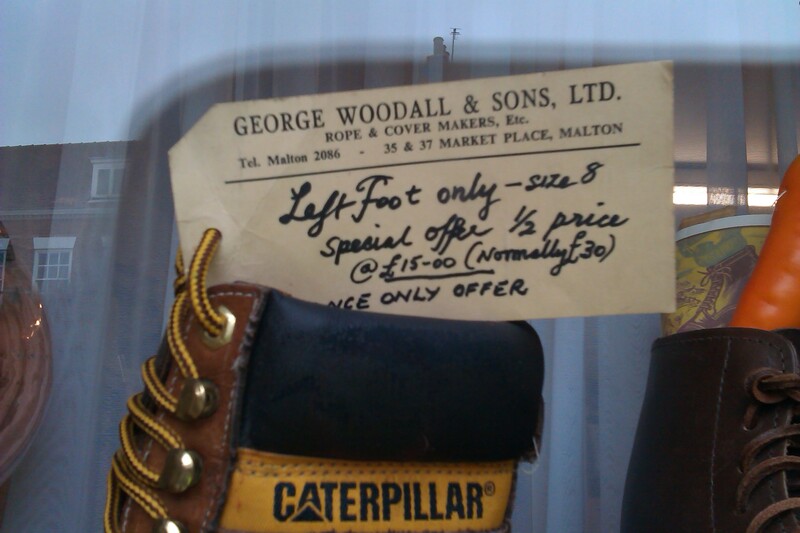 from a motley bunch of cyclophiles to a crowd of boating aficionados, where the talk was inevitably about affairs of the marina, and the comings and goings along the waterways of Britain. 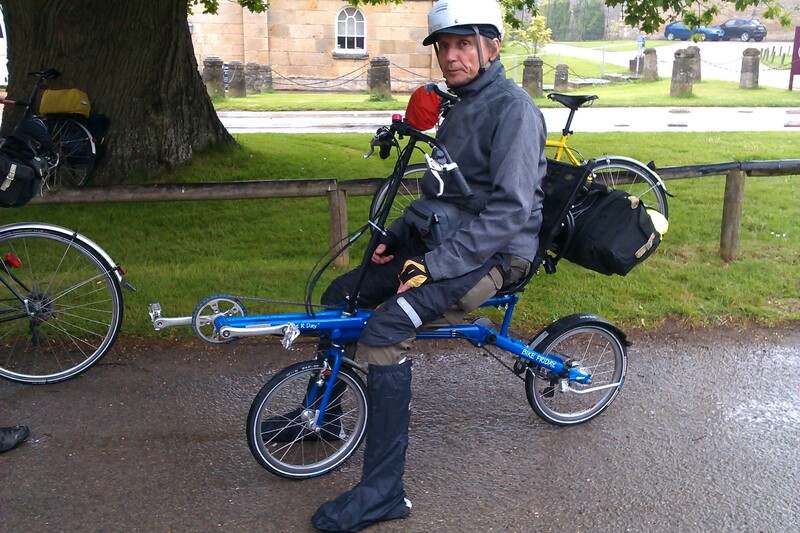 And there I sat in my cycling lycra……..
Rolling northwards against a brisk north westerly breeze, I had just negotiated a steep hill near Rutland Water when I chanced upon a cycling friend, going in the opposite direction. We stopped……I asked him his destination…..he then reminded me that the Thursday group were meeting for tea and cakes at a house just 3 miles back along my route. Oh dear……were free tea and cakes a sufficient incentive to backtrack and then have to climb that hill again…….well, unfortunately, the answer was ‘yes’! Down I went, filled up on an exquisite selection of home-made baking, and then toiled back up the hill again. My job was cut out for me. 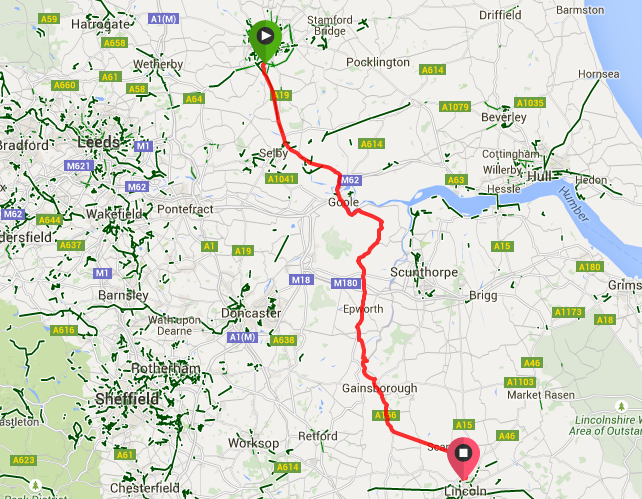 It was already a 95 mile route to Tuxford, and I had now taken out a good 90 minutes from my schedule………and I had a Warmshowers host expecting me in Tuxford. I didn’t want to disappoint. But I had this strengthening head wind to contend with…….it was head down for the next 100 km. The countryside alleviated the pain a little. 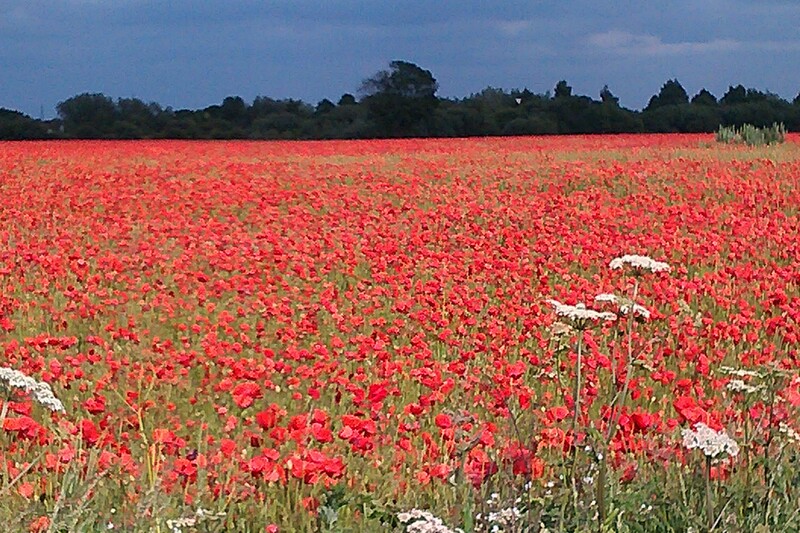 Farmers must be despairing at the burgeoning poppy harvest this year, but they are there to delight the rest of us. My host, Paul, waited patiently for my arrival. In his 9-5 existence he is a wind turbine maintenance engineer, but outside that, he has discovered the joys of the freedom of adventure cycling. Where most of us would have nervously tested the water of long-distance stuff in our own country, Paul headed off to Santiago in Chile, and spent a few months trekking down to the southern regions of the continent. And it wasn’t just a bicycle ride……..he had prefaced it by spending several months being privately tutored in the basics of Spanish. He had taken on the venture as a complete project. Inspiring! 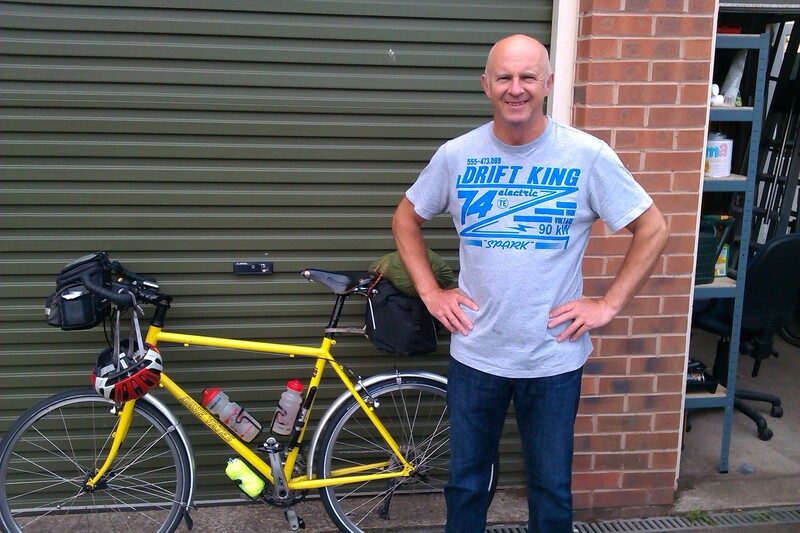 And a great host to a fellow cyclist……(if you are reading this, Paul, thank you once again). White beards and hairy legs! 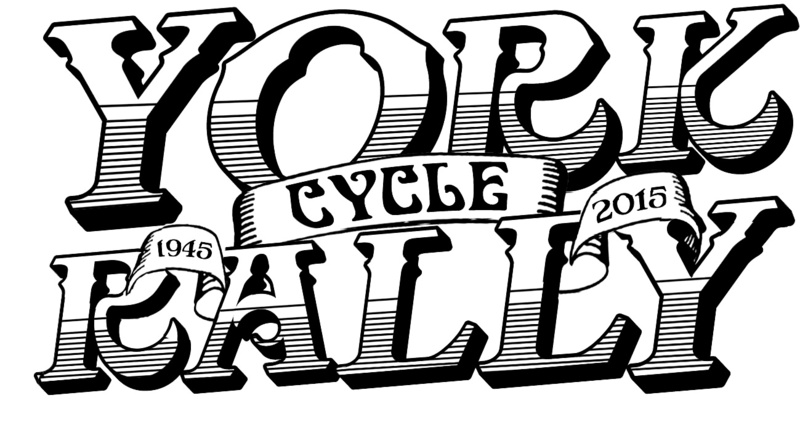 I told some ‘roadie friends’ (all of them retired and of a certain age) that I was going to the York Cycle Rally and, despite its 70 year history, none of them had heard of it. I was amazed. When I explained a little of its history and the kind of cycling it catered for, one of them said “Oh, you mean old school cycling?” ……in other words, a polite way of referring to the predominance of white beards and hairy legs! All of which, of course, got me thinking. This event had been founded in 1945, just after the war, by a group of cycling enthusiasts, and its only objective was to bring like-minded people together to enjoy, what was then, a burgeoning sport, especially amongst the working classes. Over the years, the numbers swelled, it was relocated on The Knavesmire, (York Racecourse), traders saw an opportunity and exhibition marquees were erected; grass track racing was introduced; and the programme expanded to include Audax rides, social rides, veteran bicycle parades, pub runs, and something that came to be named ‘bicycle belles’…….no need to guess what that was all about. 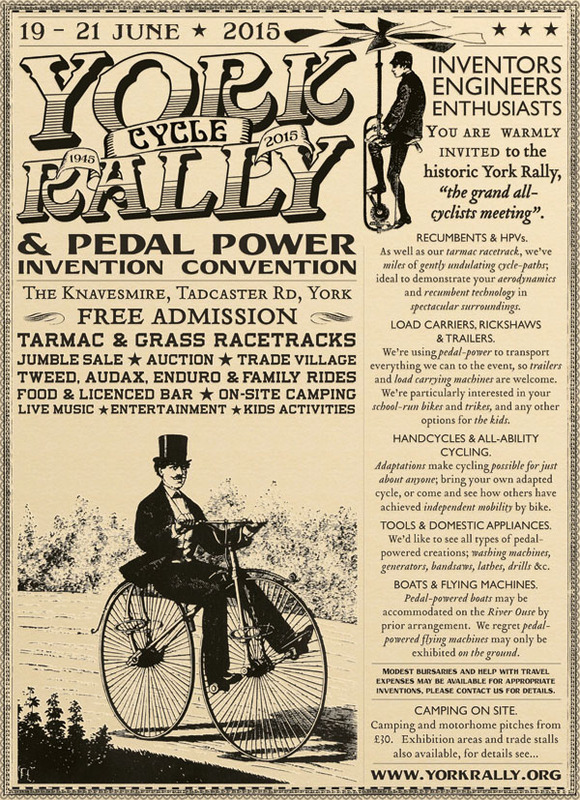 But sadly, in 2013, because of waning interest amongst traders and the changing buying habits of the cycling public, the event had to be cancelled, only to be given its re-birth two years later by a group of enthusiasts who had decided that the future of the event was not going to be so money-dependent, nor would it lean heavily on the support of traders buying exhibition space in marquees. So, after a two year ‘interregnum’, the York Cycle Rally was reinvented and restored, once again occupying its traditional mid-summer weekend in the calendar and, though they didn’t come in their thousands to fill the racecourse with tents and campervans, they did come in their hundreds. And there was something for everyone……..and there were bicycles of all descriptions. 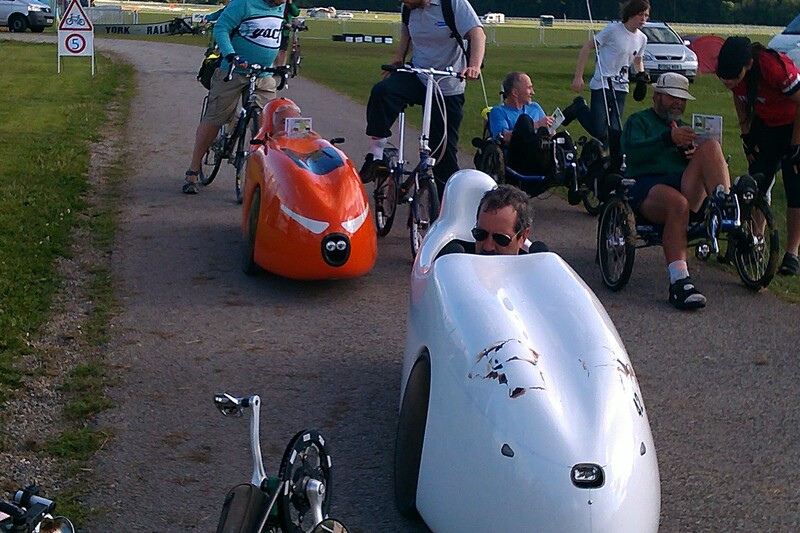 If something had a set of wheels and it was human-powered, you would likely find an example of it somewhere on the Knavesmire. 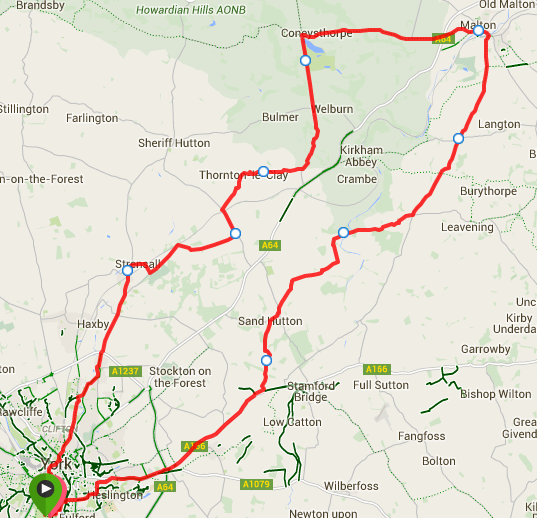 My two day weekend became a six day venture, when I decided to cycle there and back. 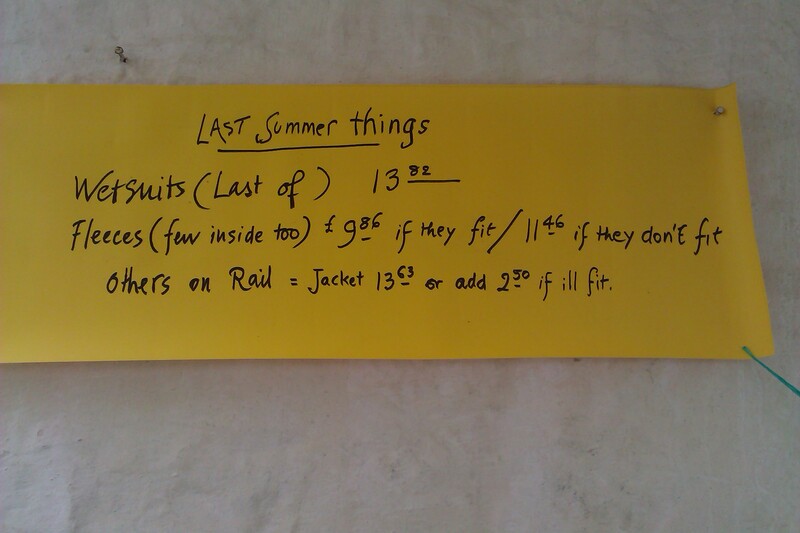 It was quite an undertaking, adding nearly 500 miles to my annual calculations. Stay tuned because I will share some of the routes in the next couple of posts.